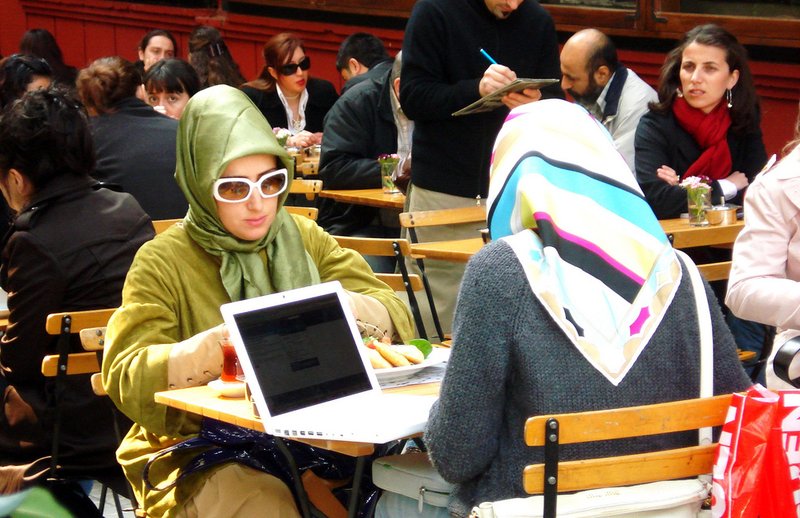 What is the situation of women in Turkey? Are they profiting from legislation in a “post-patriarchal” legal system or suffering from cruel traditions? There are examples for both, but the overall ranking in the World Economic Forum's global "gender gap" remains poor, 129th out of 134. What is the situation of women in Turkey? Are they profiting from legislation in a “post-patriarchal” legal system or suffering from cruel traditions? There are examples for both, but the overall ranking in the global “gender gap” remains poor, 129 out of 134. The World Economic Forum publishes a “gender gap” index every year, currently covering 134 countries. In the 2009 index Turkey ranked 129th, the worst EU member is Greece in 86th place, the worst ranked European country is Albania in 92nd position, Turkey is flanked by Iran and Saudi Arabia. In pole position is Iceland, at the bottom is Yemen. The ranking covers four different areas: economic participation, educational acievement, health and political empowerment. Almost a month before, on 21 January 2010, the biggest industrialists’ association TÜSIAD elected a new chairperson. Receiving 198 of 200 votes, the delegates elected Ümit Boyner to chairwoman. Boyner is not the first woman to head TÜSIAD, she actually follows Arzuhan Do?an Yalç?nda?, another woman in that position. This means that the most influential industrialists’ association, with members like Koc, Sabanci, Eczacibasi or Alarko Holdings, will be headed by a woman for at least one decade. Boyner, besides being a board member of Boyner Holding, in fashion something like the Turkish Hugo Boss, has been active in women’s associations as well. As a founding member of the Women Entrepreneurs Association of Turkey (KAGIDER), she worked to increase the number of women in the business world along with supporting a parliamentary quota system for women. The campaigns for more female politicians, run together with KADER, achieved some success in the latest national elections in 2007 when the percentage of women increased from 4.4 to 8.8 percent. This is Turkey’s Icelandic side. At the same time, when Boyner was elected, there were stories about other women, or better, girls that shed light on other realities. On 17 January, the 12 year old Meryem shot herself with her fathers’s Kalashnikov in the Eastern Anatolian province of Agri. Meryem, the Turkish version of Maria, gave a male pupil in her class a note saying “I love you”, which was seen by her teacher. Meryem panicked, left school early, went home and into her parents’ room and killed herself. The story in itself is already horrendous, but as newspapers started to investigate the family history, it was discovered that Meryem’s suicide was not the first in her family, but the second. In 1997, her sister Necla hung herself. And the final disturbing fact was the reaction of the father. “If my daughter had told me that she loved someone, then I would have married her to him.” The legal age for marriage is 17. Meryem’s story during the first weeks of 2010 was not the only one of its kind. On 25 January the twins Hediye and Kadriye jumped from the 7th floor of her elder brother’s apartment in Diyarbakir. Hediye was supposed to be married to the son of an uncle later that day. In early February, police in the Kahta district of the Eastern Anatolian town Adiyaman were told anonymously to dig near a chicken coop. A 16 year old girl, Medine, had been missing since early December 2009. About two meters deep the police found the sitting body of Medine with her hands cuffed behind her back. The autopsy found a significant amount of soil in her stomach and lungs indicating that the girl had been buried alive. Her “crime” had been talking to boys, or rumours that she had done so. Medine had never been to school. This is Turkey’s Yemeni side. However, the lives of Meryem, Hediye and Medine were in theory well-protected legally. Since Turkey received EU candidate status in December 1999 many legal reforms have been set in place improving the situation of women. In 2001 a new Civil Code was passed, reforms to the employment law (2003), the establishment of family courts (2003) and a completely reformed penal code (2004) followed. The European Stability Initiative therefore wrote in a report on women in Turkey in summer 2007: “for the first time in its history Turkey has the legal framework of a post-patriarchal society.” Women are equal before the law, also girls have to attend school for at least 8 years and if “honour” is a motivation for a crime, the punishment is harsher, there are also shelters and incentive programs for women. The problem therefore is not the laws, but their implementation. Laws can pave the way to the changing of mentalities, but laws can be changed in just a few months, it takes a lot longer to change mentalities and “traditions”. On 8 March we will hear the usual speeches about the importance of women in society, economy, culture and politics, with quotes by famous Turks or Muslims from the 7th to the 21st century. However, without increased efforts to implement laws and strategies by the political system and civil society to make women and girls truly equal, there will be more Meryems, Hediyes and Medines to come and the stories of Boyners and Noyans will not be enough to make Turkey a Mediterranean Iceland.